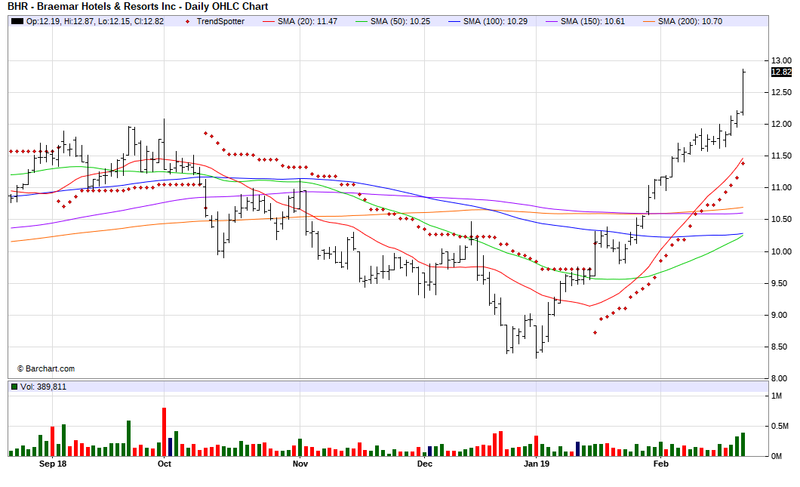 The Barchart Chart of the Day belongs to the Hotel & Resort REIT Braemar Hotels & Resorts (BHR). I found the stock by using Barchart to sort the Top Stocks to Own list first by the highest number of new highs in the last month, then I used the Flipchart feature to review the charts for consistent price appreciation. Since the Trend Spotter signaled a buy on 1/17 the stock gained 25.10%.